Brooke helped me purchase a fix and flip property in 2010. She was very helpful and responsive to all of the little nasties that are in involved in buying an FHA bank owned property. Everything went smoothly and we bought, fixed, and resold this property with a 4-5 month time frame. She’s great to work with and has access to tons of current and detailed data on the local market. Great job! Brooke is not only highly efficient, but she is proactive and a really good person to work with. She helped us buy our house in Golden and we feel so lucky she was with us every step of the way! Brooke worked hard to help us find the right home in the ideal location. We looked at a lot of different places and she was patient and interested in helping us find the best possible place for us. I would totally use her again in the future. Brooke helped my wife and I along every step of the way of the home purchasing process. In a market that is as tough, and as stressful, as this one Brooke was always the calming and reassuring voice as we moved from property to property. Brooke not only understands the market frontward and backward, she also has an amazing support staff and team that will get you to closing as quickly as possible. I highly recommend her to anyone looking to purchase a home in the Denver Metro Region. Brooke was amazing. She was integral in finding our family the perfect home for us in the perfect neighborhood for us. We found it so helpful to have Brooke’s knowledge of our area and of the current market as it helped us to make great decisions and find an awesome deal. We are indebted to her for what she was able to do for our family. She was also an awesome negotiator. She was a great listener, she was responsive, she responded quickly and she exceeded our expectations time and again. We’re so thankful and so please to have found our perfect home. 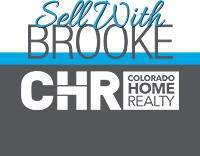 I would highly recommend Brooke to anyone looking for a home in the Denver area! Brooke was great at quickly realizing what we would be more into checking out, and getting us there. Brooke responds quickly and keeps you in the loop. I really liked how she just waited us out when we were freaking out about things. She listened and reminded us that it does come together, that she understood. And it did indeed all work out. She went through it all with us, and gave us very helpful information about a lot of things, even when it wasn’t about the house itself. Brooke actually helped me sell and buy a home. She went out of her way to help us find a home in Greeley, CO while selling our condo in Littleton, CO. She is very professional and responsive (and also patient with those of us who keep changing our minds). She really does care about her clients. I would highly recommend her as an agent. She will end up feeling more like a friend! Brooke was amazing when we bought our first home! She knew the areas we were looking at and was able to give us valuable feedback when we were comparing properties. She went above and beyond to make sure everything was inline and taken care of so we could get the house closed on time and get moved in. I highly recommend Brooke to all my friends and family. Brooke made the home buying process as easy as it could be- even for us coming from out of state! She is easy to communicate with, follows up quickly, and is great about explaining different scenarios. Once we had an offer under contract she was so helpful in scheduling inspections, drafting resolutions, and coordinating the out of state closing. The whole time we felt like she was on top of everything and always had it under control! This is my third home transaction with Brooke. She’s always professional, efficient, friendly and positive! Her staff is excellent and responsive to questions or concerns. Brooke is a rock star realtor! Where do I even begin? Here are some adjectives that come to mind when I think of Brooke…dependable, reliable, knowledgeable, experienced, active, pro-active, relentless, outside thinker. What makes Brooke different from all the other realtors that I have worked with is she is willing to do what other realtors are not. For example, ask Brooke about why she suggests writing a ‘love letter’ to the buyer to gain that competitive advantage. Homes that sit on the market too long don’t sit well with Brooke either. I have referred Brooke to others already and I just bought my home less than a month ago. What I love about Brooke is that she will do everything humanly possible to get you into the home you’re looking for. I met Brooke at BNI. I had a world of Realtors to choose from but went with my instinct that Brooke was the type of agent who would fight like hell for her clients to get them into a home they truly wanted. She did just that with my family. We were offered a handful of available properties and we went and saw them all. The one that we truly wanted, we knew was a long shot but we entrusted Brooke to help us get it and she suggested the Love Letter to the Seller. That “love letter” is what gave us the edge we needed to outbid 13 other offers and we won the house! Brooke Hengst is an incredible Realtor that we will definitely use again in the future and recommend to our friends. Brooke is excellent to work with. She listens to your needs and doesn’t push you. She is full of energy and gets things done. Highly recommend her. We are about to close on a house and Brooke is our realtor. She is professional, efficient, responsive, trustworthy, and very knowledgeable. I highly recommend her for your home buying experience.